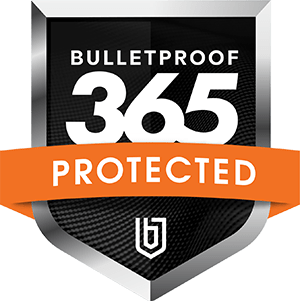 Bulletproof 365 Enterprise combines the power of Microsoft 365 with leading-edge data protection controls including access management and advanced threat and breach detection to protect against malware, phishing, unsafe attachments and other cyberthreats. Bulletproof has a state-of-the-art Security Operations Center (SOC) equipped with leading IBM QRadar Security Intelligence Platform as a centerpiece SIEM (2018 Security Analytics wave by Forrester). Take the SOC Virtual Tour. IT is always changing, and IT teams don’t have time to keep up AND serve their clients effectively. That’s where Bulletproof comes in. We offer supplemental tech support services for organizations with in-house IT departments. That way your IT teams can focus on enabling their client’s business and do what they do best, faster. We’ll deal with the ongoing management, monitoring and keep your team informed on M365 changes! Seamless integration with existing IT Resources. Bulletproof 365 Enterprise is a powerful solution that integrates with your existing IT resources. We work with your IT team to fill in the gaps. Keep your team running more efficiently. Bulletproof has lived and breathed IT security for 18+ years, and with our exclusive Bulletproof 365 Enterprise platform, we can defend you, and your employees, against even the most savvy cyberattacks. In fact, our Security Aware service is the only user awareness solution in market today that solves the difficult problem of end-user adoption and buy in.